I always recommend wearing SPF to not only protect youself from dangerous skin diseases but it always is a great way to prevent early aging signs like wrinkles and dry skin. But why should your skin be the only thing that is protected from the sun? Your lips deserve the same treatment. 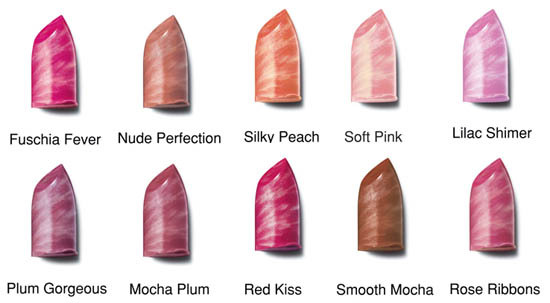 I recently discovered Avon's Ultra Color Rich Moisture Seduction Lipstick. Not only are these lipsticks affordable (Was 59 Dhs, but now selling at 49 Dhs) compared to MAC, YSL, or other brand names but this is the only brand that manages to provide continous moisture with the protection of SPF. The color is great as well and it actually lasts! Other brands that I have tried that had SPF in their lipsticks were dry and I always ended up wetting my lips after awhile. I did have my doubts as well. I have the mentally of higher costs means better quality, which is absolutely not true! I was so impressed and shocked about how fabulous these lipsticks were that I even decided to become a Avon Representative! If your in the market for affordable, high quality makeup then contact me so I can give you a brochure to check out.